speed through city streets and other tracks on a fast sports car. Win races and get prizes. In this dynamic game for Android you can feel like a real racer. Meta description: Real Drift X Car Racing is a stimulating car drifting game with great dynamics. 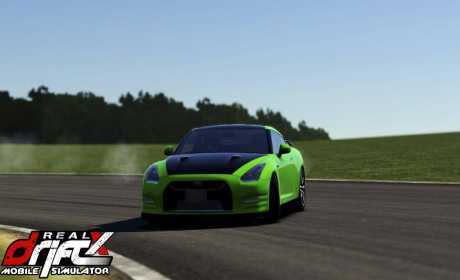 Real Drift X Car Racing app offers exciting car drifting facility at your fingertips! What you should have never dared to try on road, you can try now that driving challenge at your fingertips, free, safe, and full of speed dynamics. Driving and drifting with a real sports car may not be that safe but we can promise you about our drifter game play in Real Drift X Car Racing! It’s safe no doubt but it is super-duper exciting! It’s easy to understand the drift mechanism, but you will find mastering the trick is really, really challenging! Try once…download is free and hardly takes time to get sync to start on your android! If you know how to drive the car, hardly you will get time to grasp the car drifting gameplay! There are great car control devices at your finger’s grip. You need to master the challenging technique with car control devices like handbrake, accelerometer, intuitive steering, etc. You can use drift calculator also for measuring the drift you have taken for adding spice in your furious driving. Not only car racing and drifting! You will be getting to customize your car and its racing compatibility! Change rims, change colors, and even you can change your car! More accurate drifting challenge you will be taking, you will get to score more. More score you will accumulate you will be able to add more tools in your drifting frenzy! • Brilliant user interface: it’s really fun and cool to play the drifting challenge! • Realistic engine sound will enliven your drift and racing gaming experience. 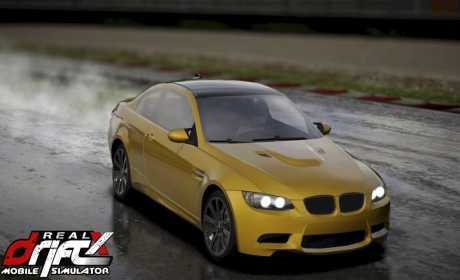 • Enjoy licensed music track for heightened driving simulation experience. Download the game Real Drift X Car Racing app! The drifter game will let you explore more exciting layers inside. You will find drifter racing with new level of stimulation at your fingertips! • Camera mode to share cool drifting photos with friends in vkontakte, skype, facebook, twitter, etc. • Intel x86 optimized for mobile devices. • All settings are enabled.